1932 Plymouth PB Deluxe Business Roadster in Collegiate colors, A very solid never rusted car with nice paint, nice interior, chrome, nice everything, runs and drives excellent. 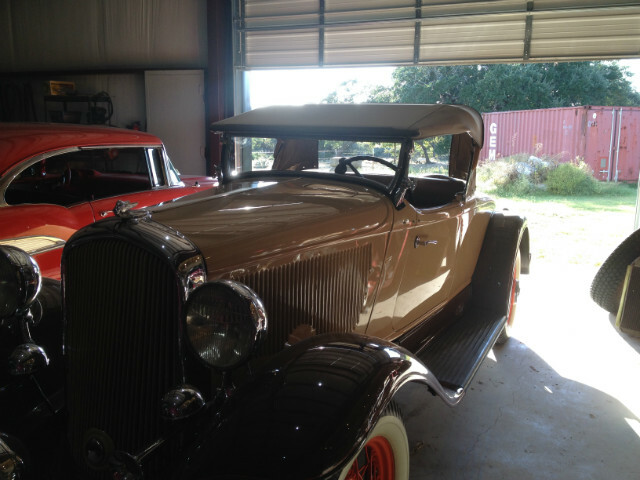 This is 1 of 325 Plymouth PB Business Roadsters built in 1932. How many do you suppose have survived? The Business Roadster is the lowest PB production model as well as the most desirable model of the beautiful 32 Plymouth PB line. The 32 Plymouths looked like they had a Chopped top from the factory. They have a very low sleek roof line. They also had hydraulic brakes in 32. Plymouth was way ahead of their time. This beautiful Roadster is ready to enjoy.